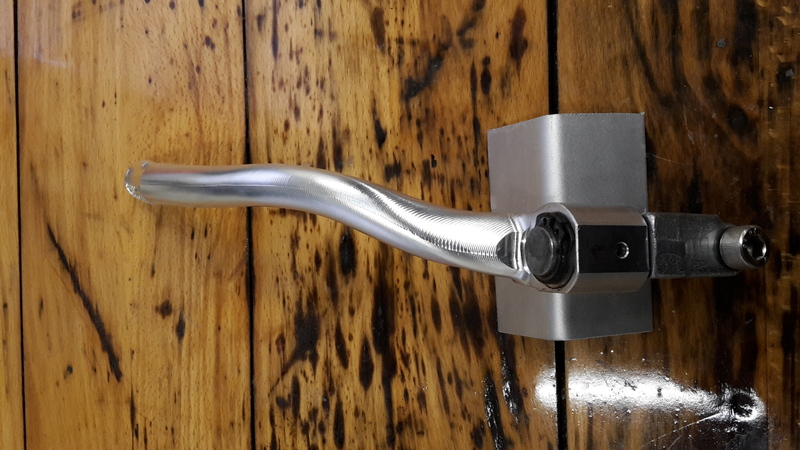 We have some "cosmetically challenged" kickstart levers for RS250 for sale. Because of machining marks, they have been sanded smooth. 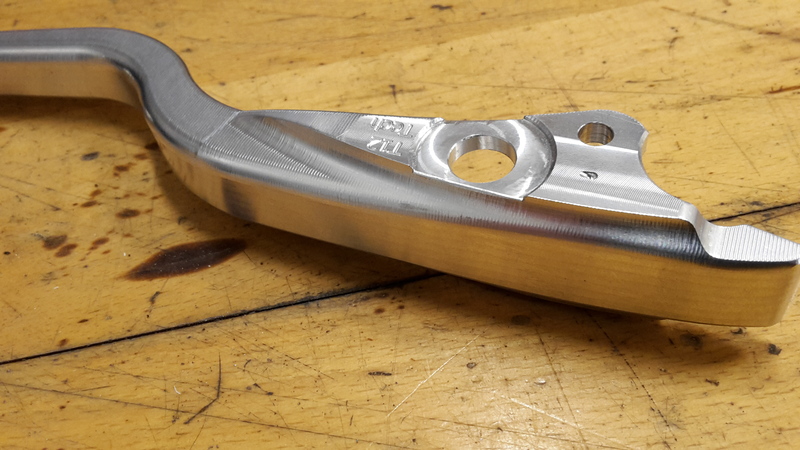 Some measurements are out of tolerances as well, but this is just cosmetic. The parts will work just as well as the good ones also for sale. Because of this, they will be sold for 97 Euro (incl. 25% VAT) 77,6 Euro without VAT (customers outside EU) - That's 50% off! - available both in black anodized and non anodized finish. See photos below. Chain adjusters for RS250 now available again. Can be ordered directly through us, unlike before. 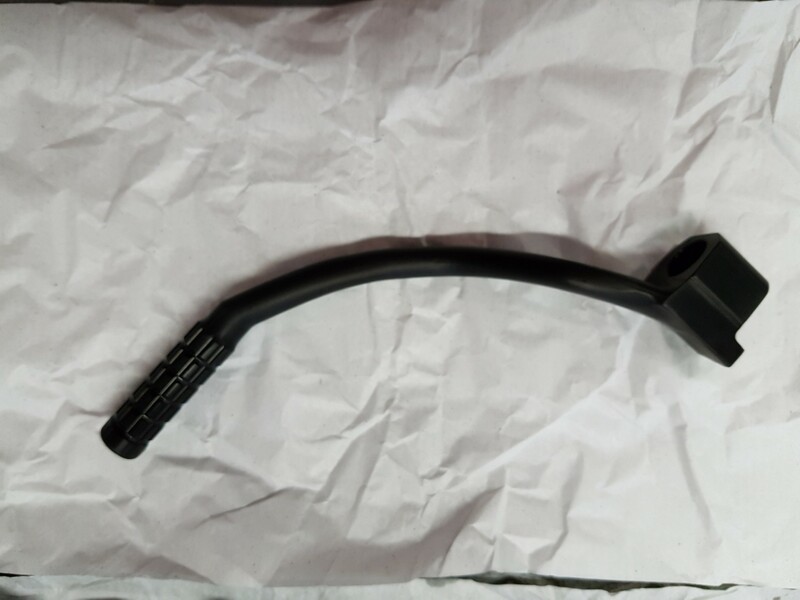 New page added - Aprilia SXV/RXV - under "Products"
SXV brake lever now available - much cheaper than the original cast version. First batch of Aprilia RS250 MK1 top yokes also done. Please contact us if interested. 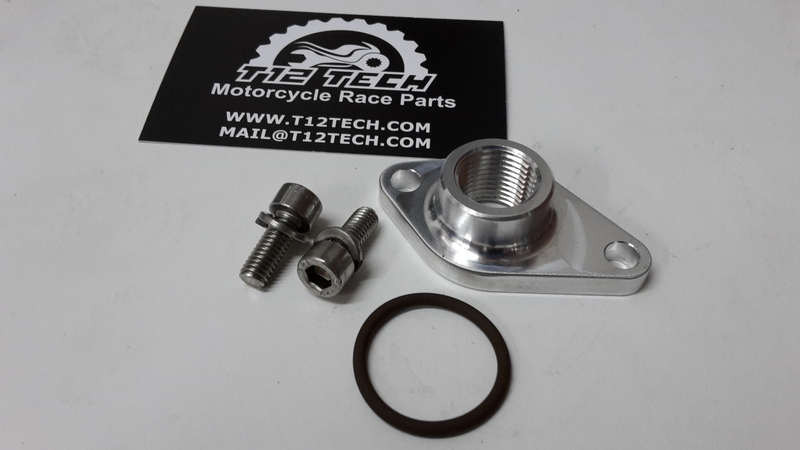 Brake caliper adapters for Aprilia RS250 MK1 also available now. Added to the RS250 page. All parts will be available in black anodized finish soon. Chain adjusters for RS250 will be sold by us directly at lower price soon. 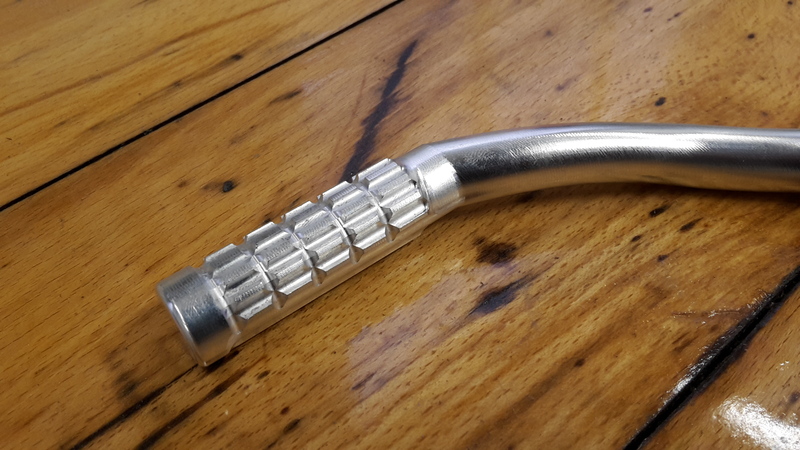 Also available with or without anodizing. Please have a look at "Other Parts" under "Products" .. New parts listed, that might fit your bike or project. Incl. stainless steel screws. Versions for sale are black anodized! 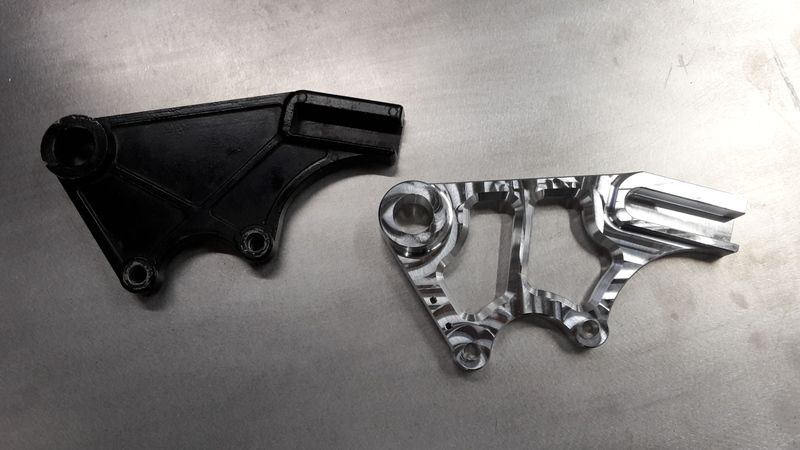 Aprilia RS250 rear brake caliper brackets! 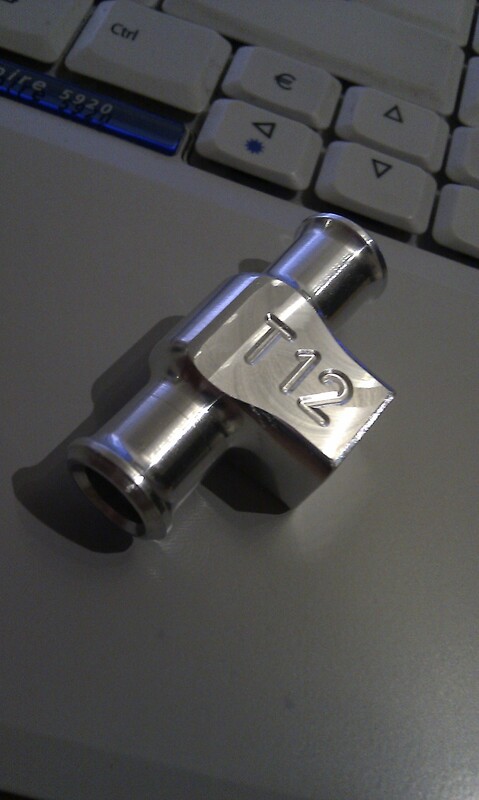 112 grams lighter than stock and with bolt on option for speed sensor (MK2) - speed sensor bracket coming soon. Versions for sale are black anodized! 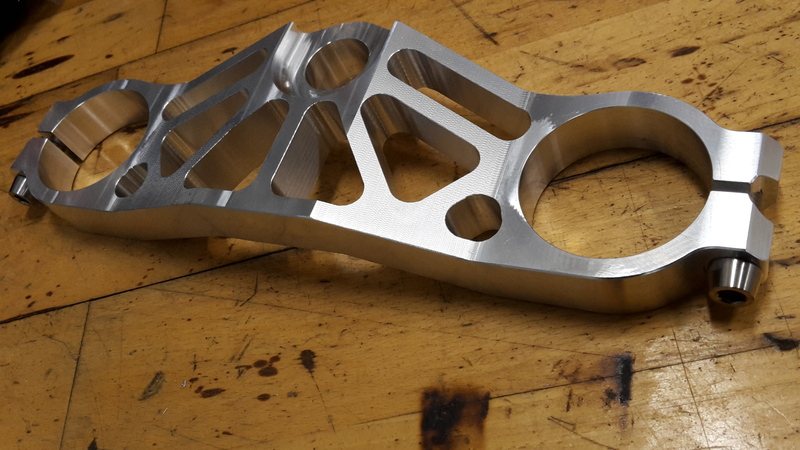 Aprilia RS250 kickstart levers, cnc machined from billet 7075 aluminum. Black anodized or non anodized finish - now only 195 Euro! 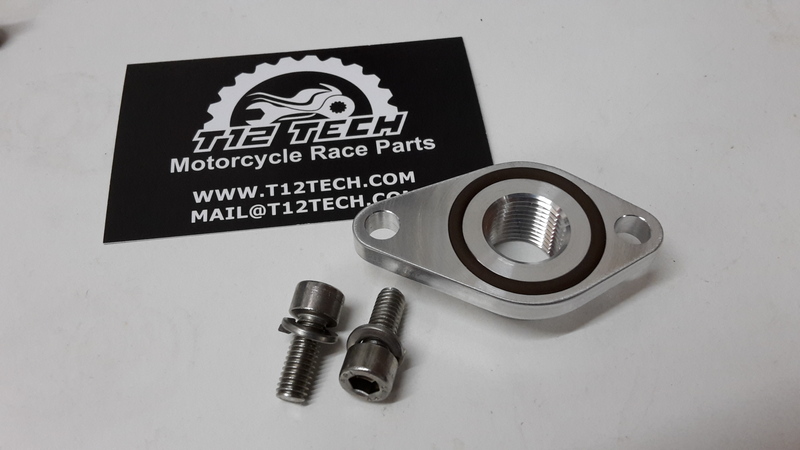 Fuel tap flanges for Aprilia RS250 now available. 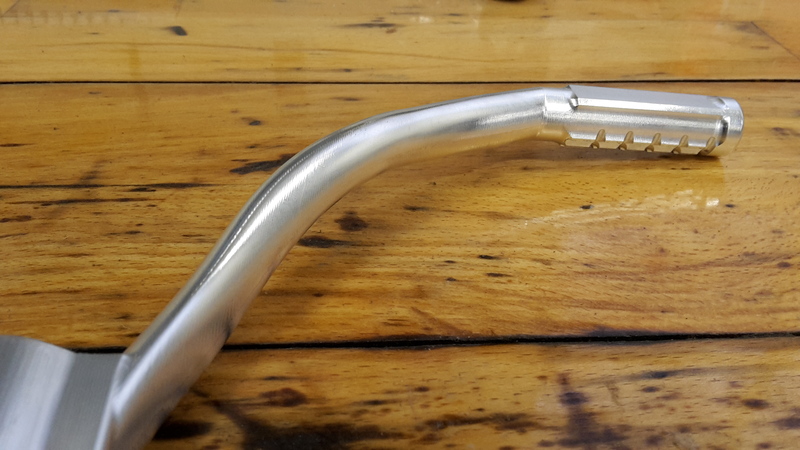 If you want to fit an aftermarket fuel tap to your RS250 or project bike. 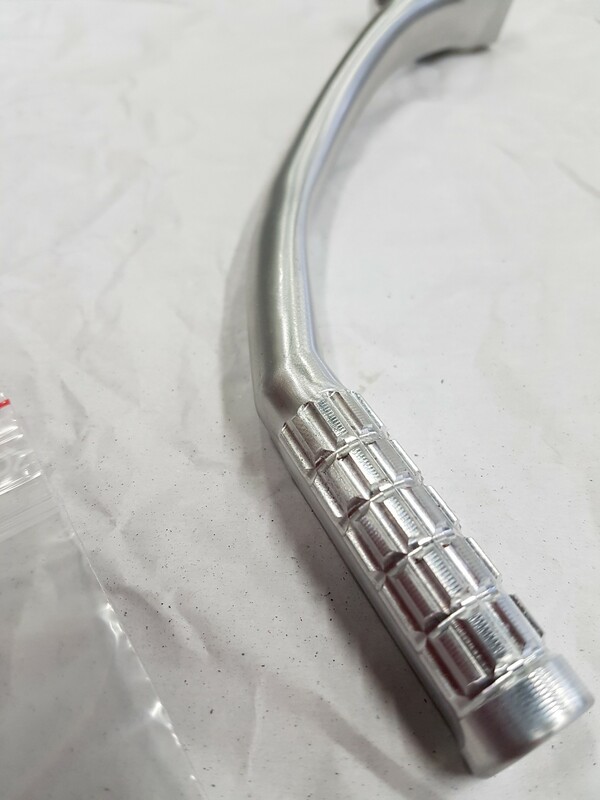 Flanges comes in 2 versions, with different depth of the O-ring groove. 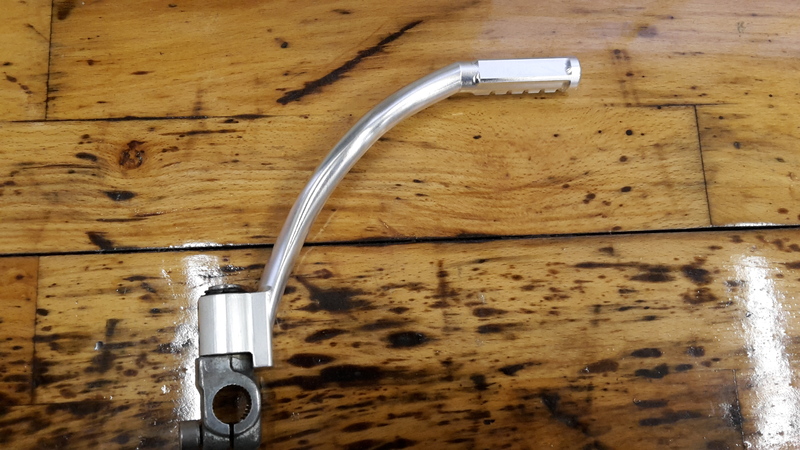 If your fuel tank is a little warped, where the fuel tap mounts, the flange with 1.5 mm deep groove might be a better option for a tight seal, than the 2 mm deep version. Versions for sale are black anodized! 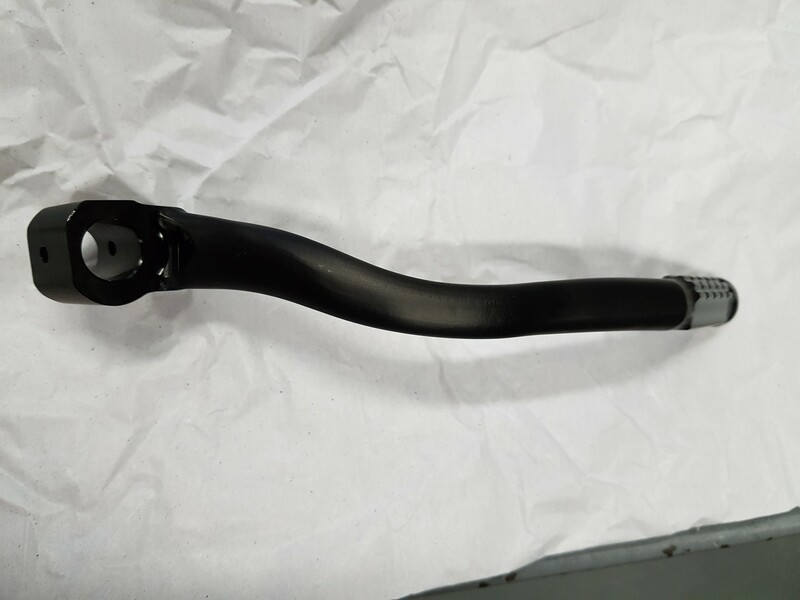 Aprilia RS250 kickstart lever now also available in black anodized finish! 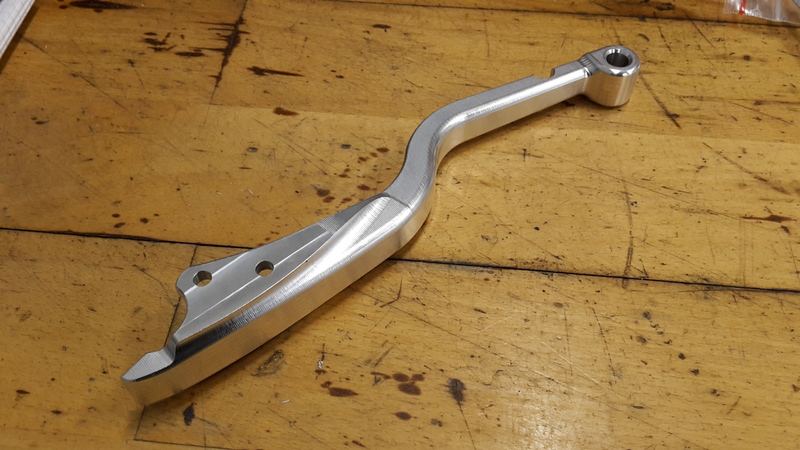 Aprilia RS250 kickstart lever finished. 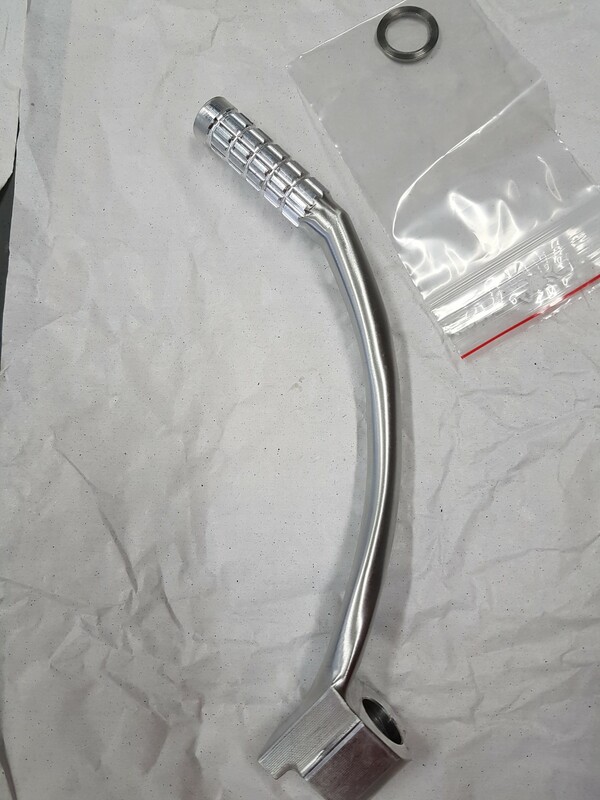 We are still working on the bottom part, but the kickstart lever will fit the original Aprilia bottom part, as shown in the photos.. Contact us for more information.. 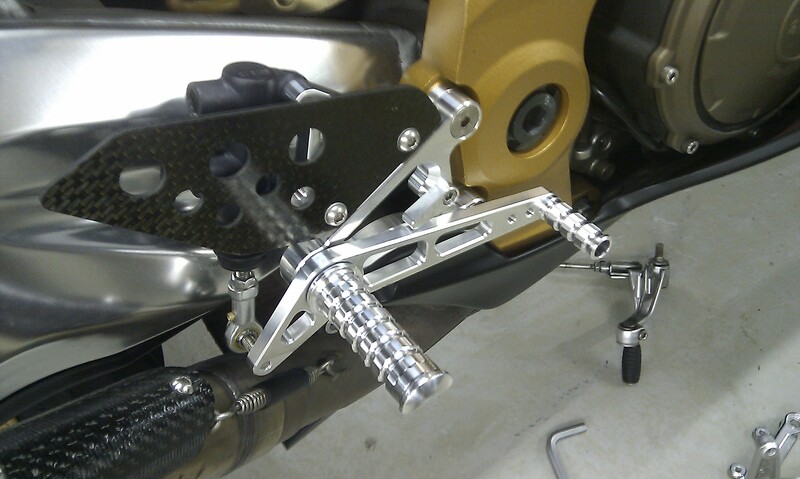 Still a few sets of RZ350 adjustable rearsets available, please contact us for more information! 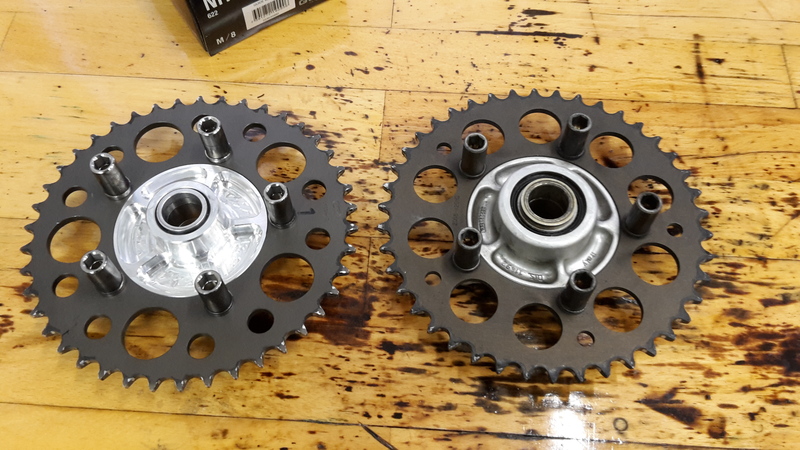 Prototype of improved BMW S1000RR sprocket carrier completed. Next up is testing on the dyno and track. 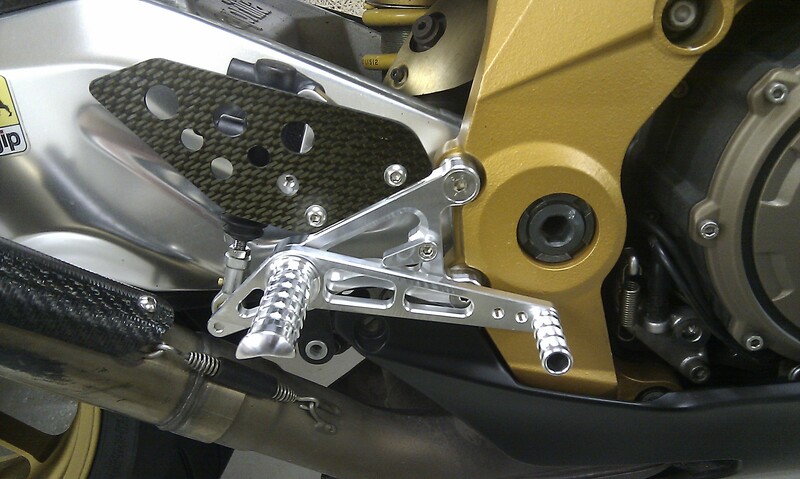 - Yamaha RZ350 Adjustable rearsets are now in stock again! 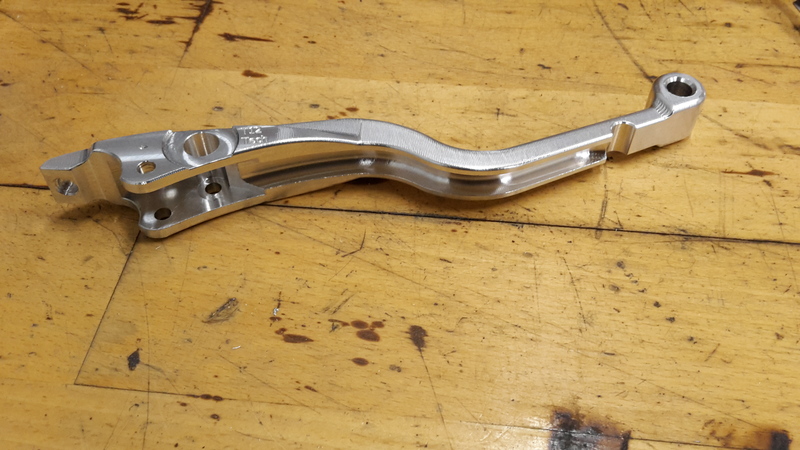 - CNC machined aluminium kickstart lever for Aprilia RS250 available soon, keep an eye on the news page! 5/1-2016 - Brass choke grommets for the Aprilia RS250 / Suzuki RGV carburetors. From 2016 now only 20 euro per set. 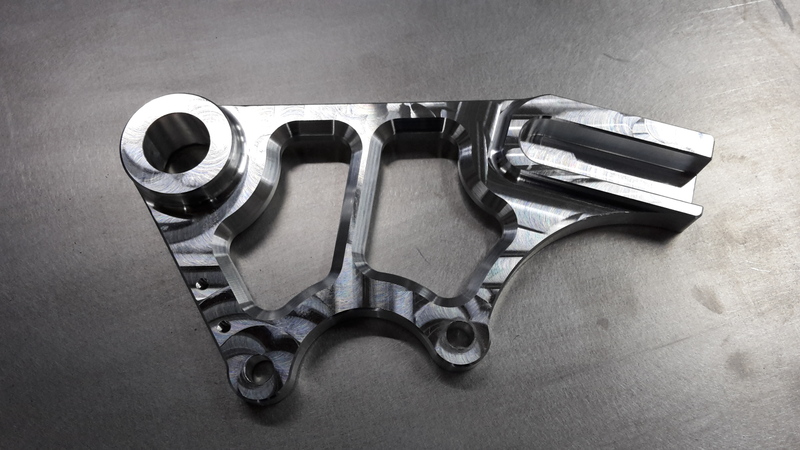 9/10-2015 - Testing of the lightweight sprocket carrier for Aprilia RSVR (and possible other models) was a success. No issues has been found so far. The part might be going into production next year, if there is enough interest.. Please contact us if interested. 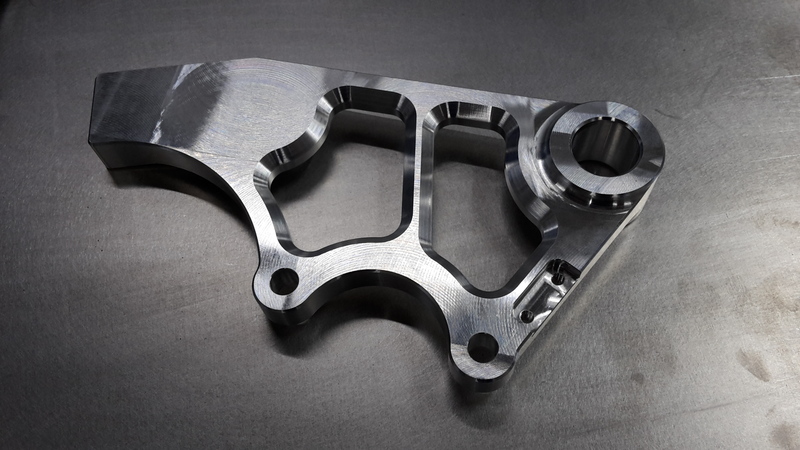 Also - Reinforced suspension link plates has been added to the Aprilia RSVR page. 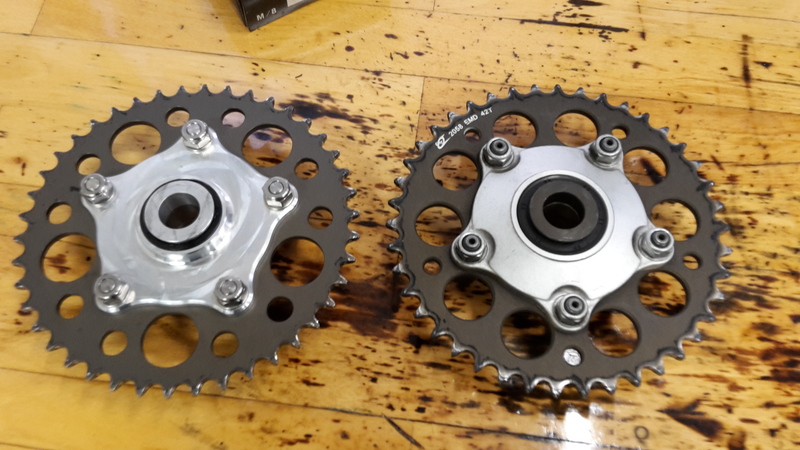 31/07-2015 - We are currently working on a lightweight sprocket carrier for the Aprilia RSVR, this sprocket carrier will also fit other Aprilia models. 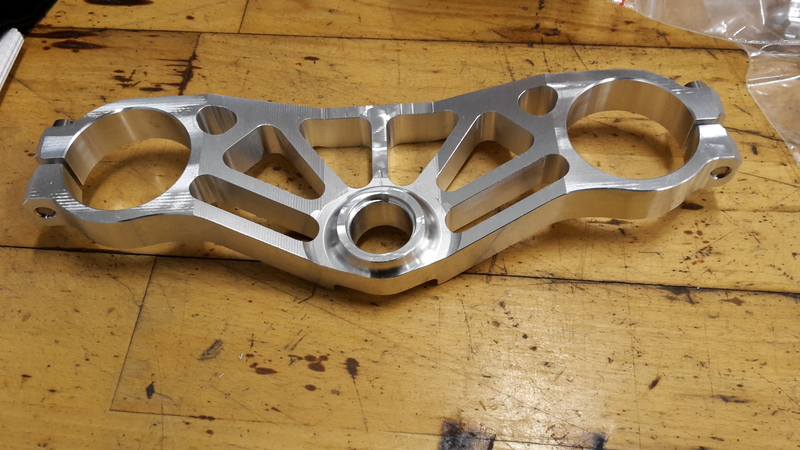 (will be about 400-500 grams lighter) Prototype testing will begin soon. 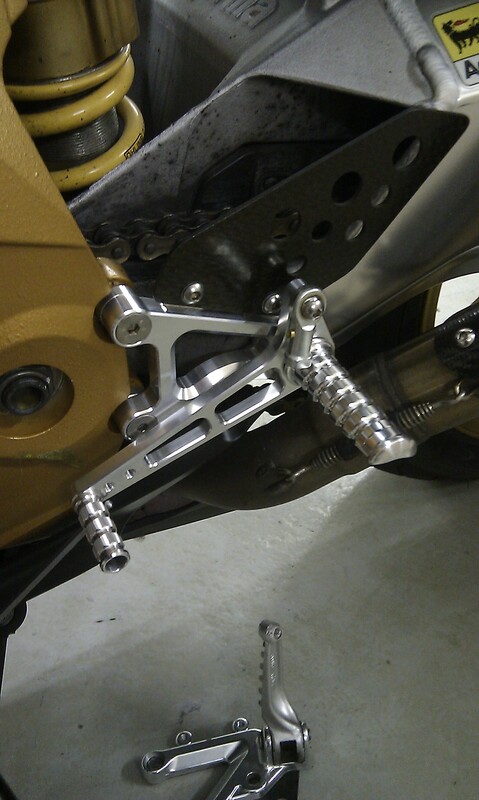 5/12/2014 - The adjustable rearsets for Yamaha RD/RZ350 is currently being tested, so far everything looks good. Production should start within a month or so. 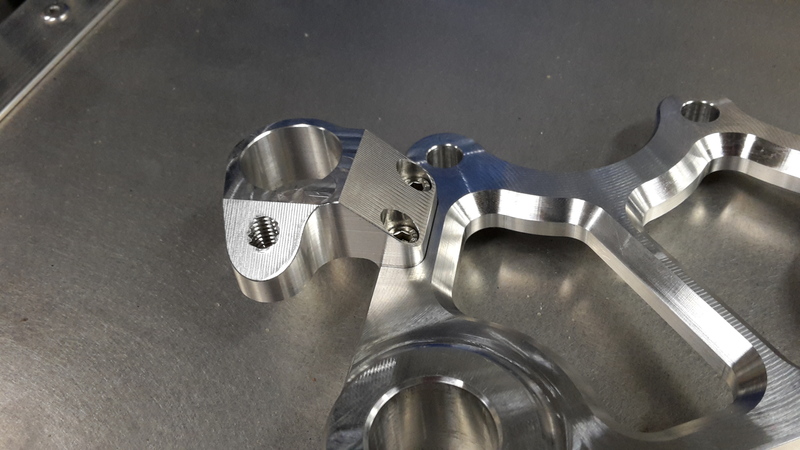 We are also working on the Aprilia SXV chain adjusters.. the prototype is done and will now be sent out for testing. This is not the final design, some changes will be made. 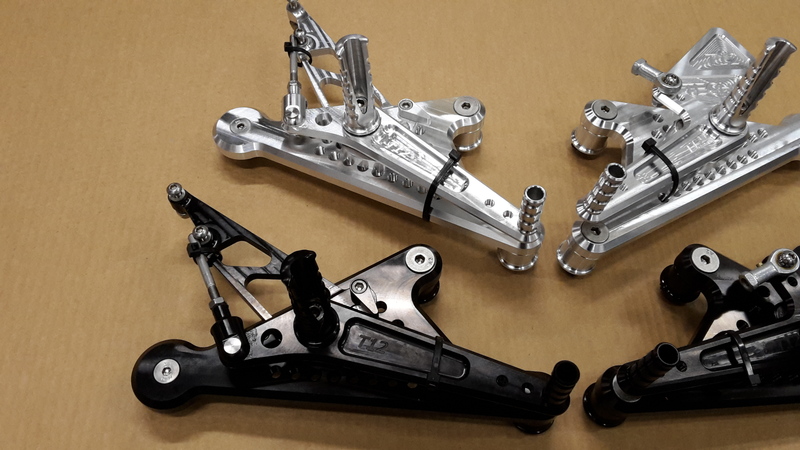 18/11/2014 - The first prototype of our adjustable rearsets for Yamaha RZ/RD 350 are ready. They will now be sent out for testing. They are expected to be in production soon. If interested, please contact us. 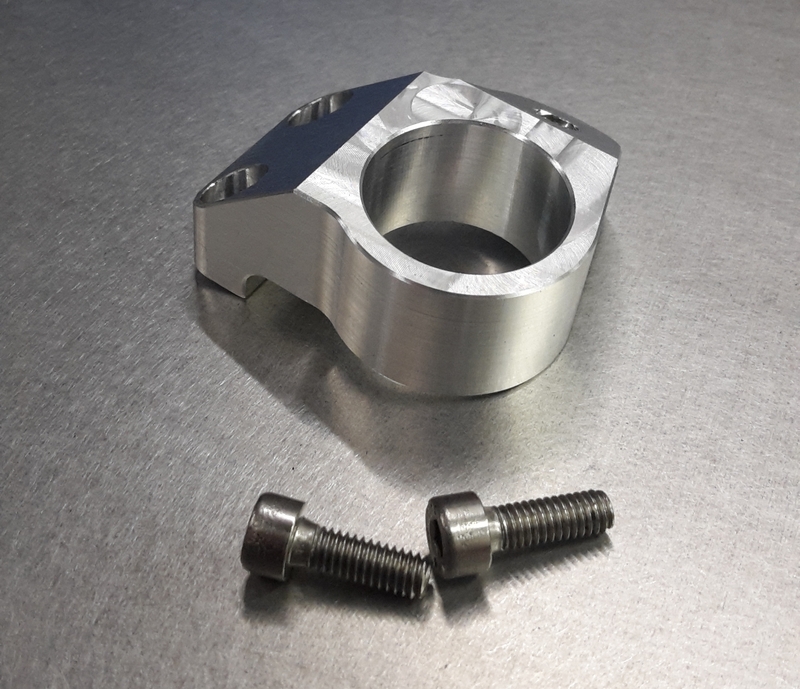 We are currently working on chain-adjusters for Aprilia RXV/SXV Supermotard and Aprilia RSVR. 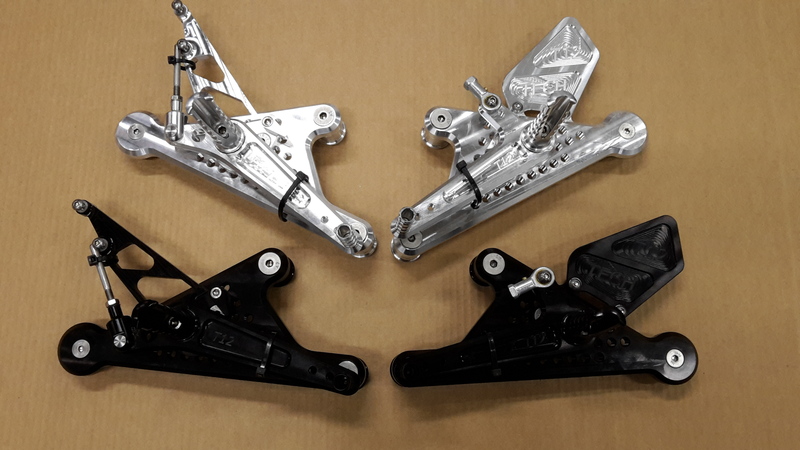 20/8/2014 - Test fitting of "rearsets" (not really rearset, as they are in the same position as the stock ones) for Aprilia RSVR 2004-2008. 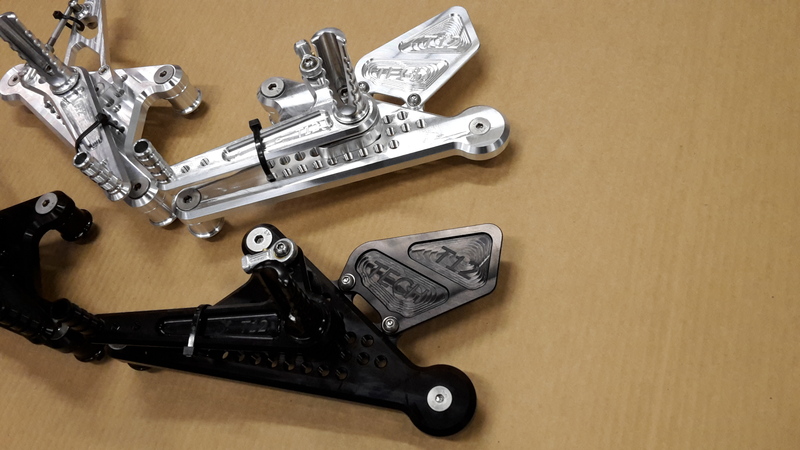 With these new rearset, you will be able to fit quickshift systems, as the gearlever is located on the footrest, connecting to the engine with a push rod as most motorcycles. 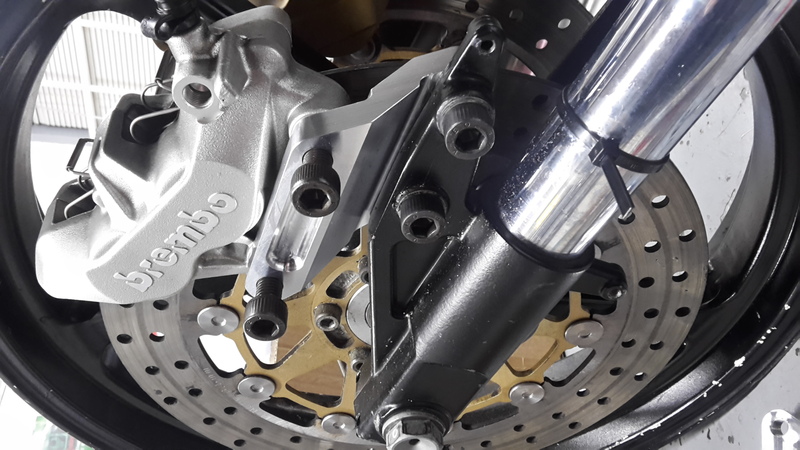 You will also get the advantage of moving the stock rear brake master to a almost vertical and much colder location than the stock placement underneath the engine. 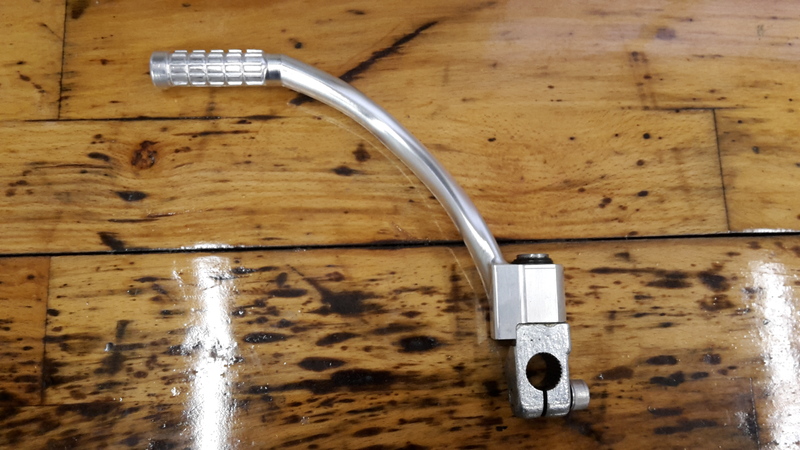 This should in theory solve the rearbrake bleed problem. 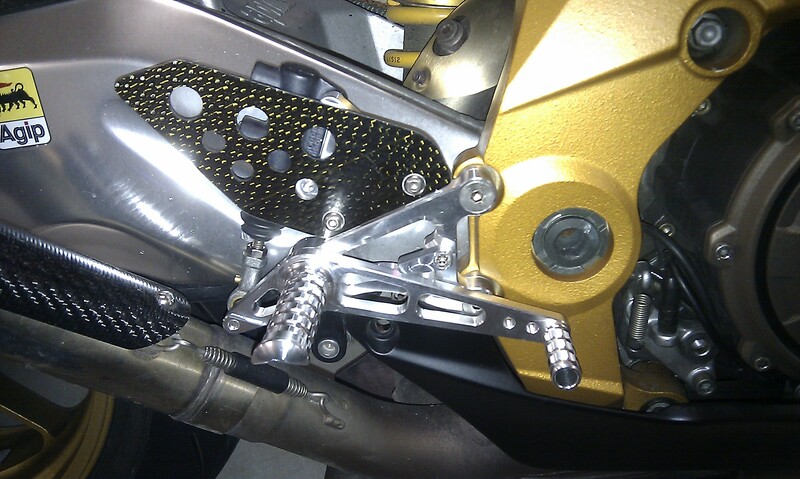 The rearsets are designed to take the stock brake master and heel plates. More information soon. 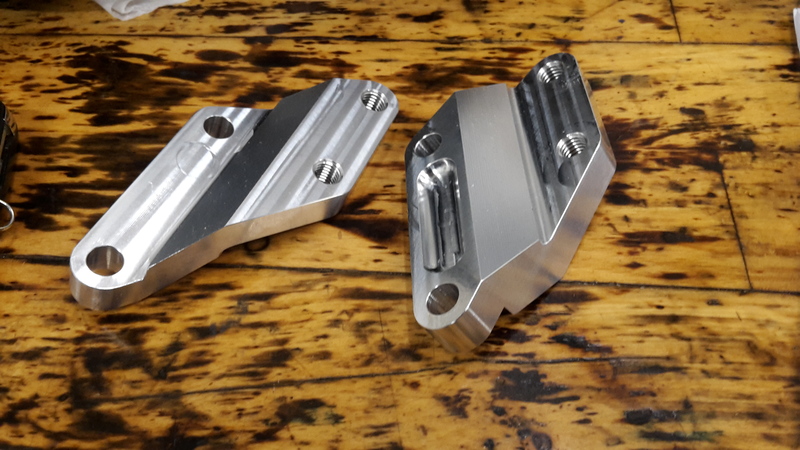 1/7/2014 - The first batch of RS250 Sidestands are ready! Only available in black for now. Email us to order one! 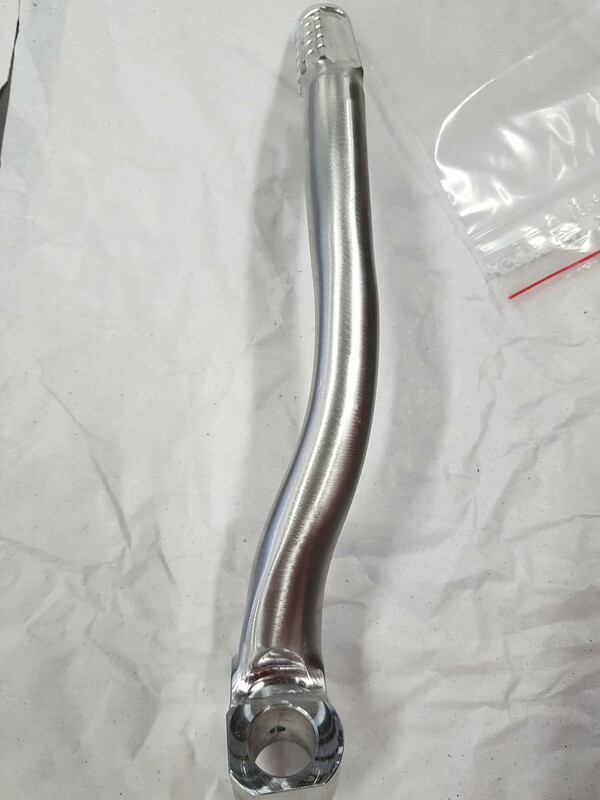 19/6/2014 - Due to some problems with the anodizing company, the sidestands have been delayed. If everything goes as planned, they should be ready for sale next week! We are very sorry for the delay! Non anodized versions will be ready for sale next week. 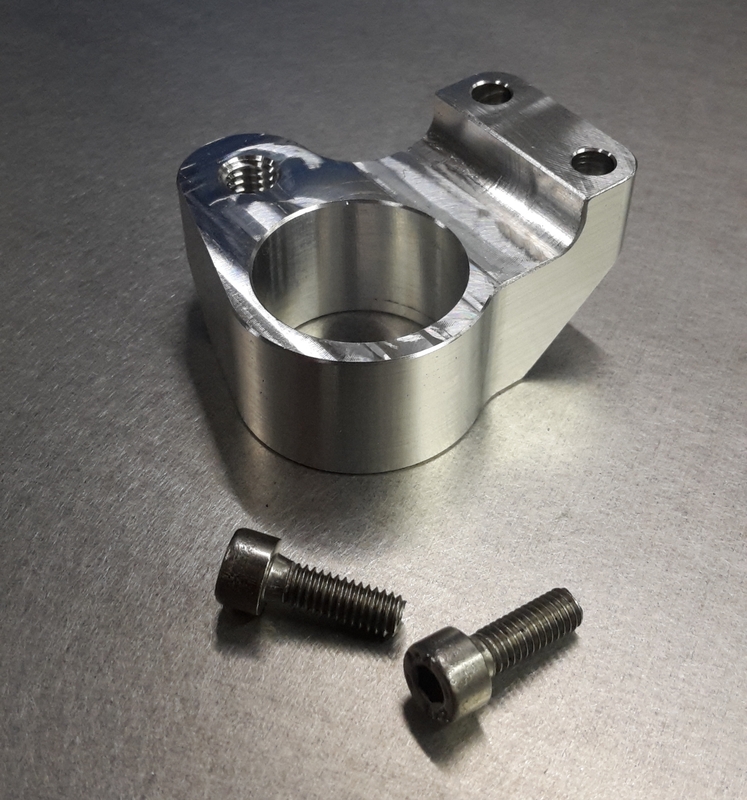 20/3/2014 - Prototype battery support block and battery clamp for Aprilia RSVR (2004-2009). Fitting the Yuasa YTZ12S battery, the stock battery clamp isn't high enough and the battery has to be raised, as it is not as tall as the stock battery. 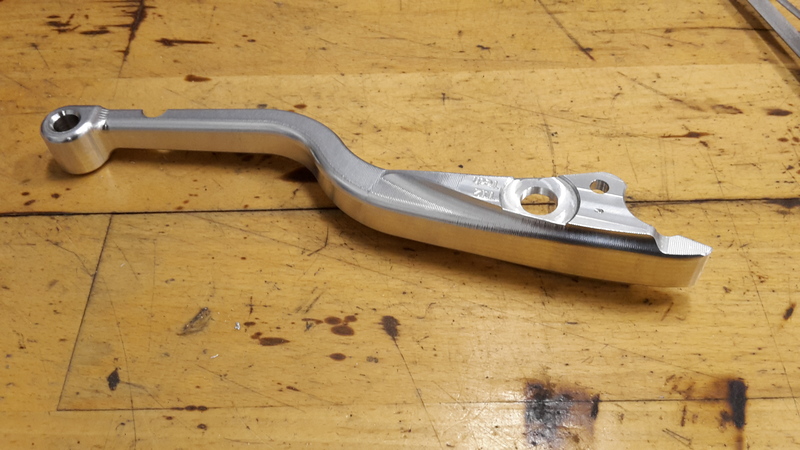 11/3/2014 - We are currently working on a set of yokes and steering stem for a Ducati 888 Corse. 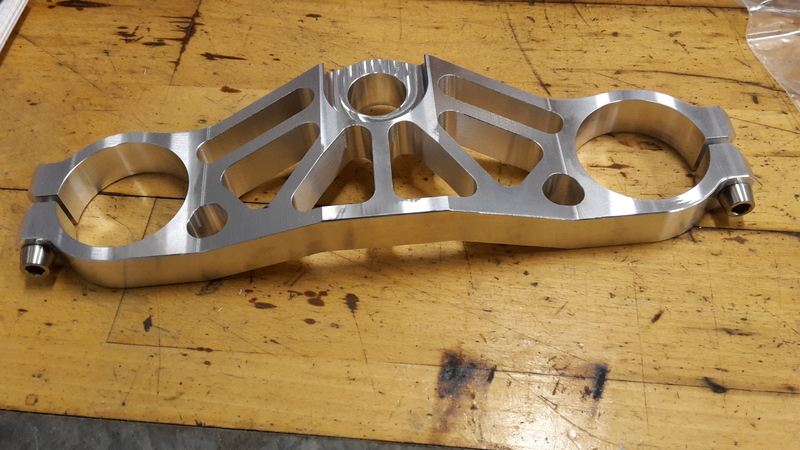 Just out of the machineshop.. Machined from solid blocks of aircraft grade aluminium. Designed to look like the stock yokes. 2/3/2014 - The Aprilia RSVR Stator Oil Cooling kits are now available! Pictures and fitting instructions will be added tomorrow. 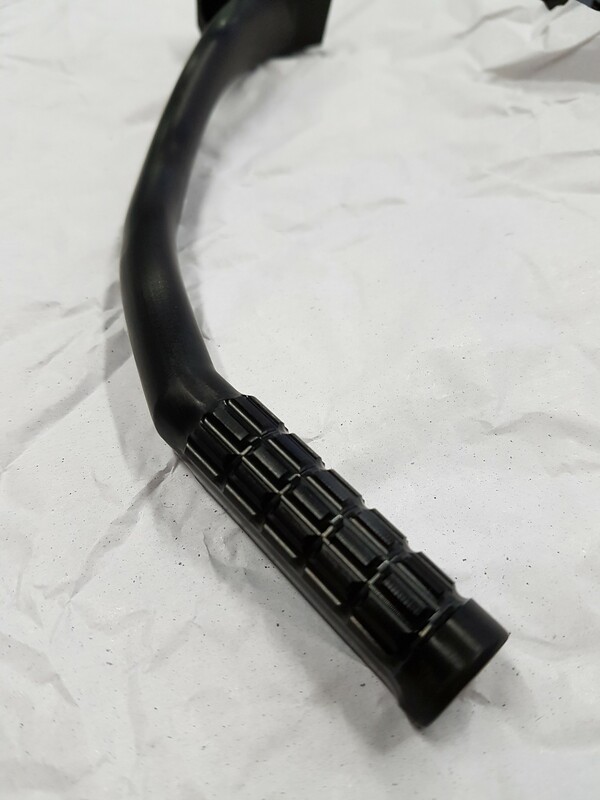 3/3/2014 - Pictures and fittings instructions added to the Aprilia Stator oil cooling kit today, we hope you like it! 27/2/2014 - The Aprilia RSVR Stator Oil Cooling Kits will be ready for sale next week! Email us for more info. 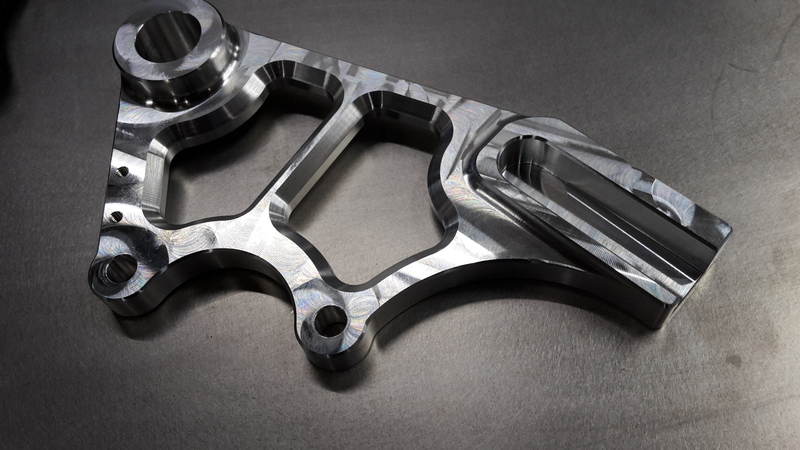 Also, our CNC machined chain-adjusters for the Aprilia RS250 will be ready for sale very soon! 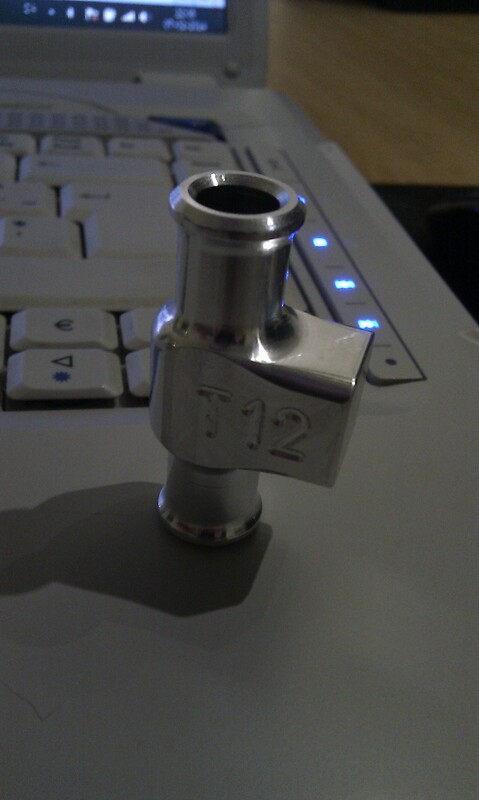 These will be sold by TTW (www.thetuningworks.co.uk). Our product page will be updated with a direct link, when they are ready! 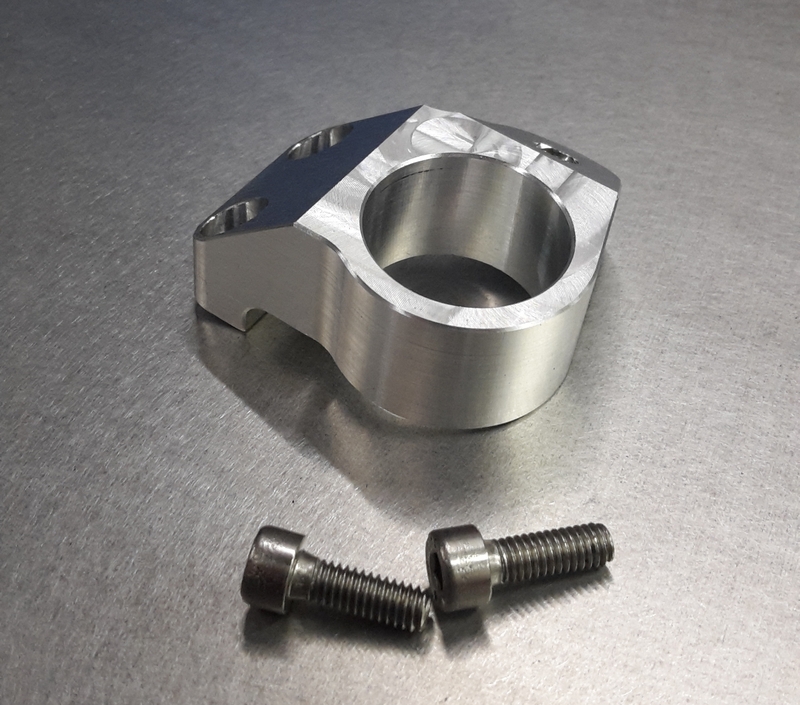 20/2/2014 - We are currently testing some new high tensile strength aluminium nuts! Looks at these nice little flanged M8 nuts, 30% taller than regular nuts but stronger than normal steel nuts. Testing this nut, the high tensile strength steel bolt (12.9) snapped! - Same nut size in regular height is still stronger than the steel nut used for testing. Steel nut broke before we could pull 40 Nm, Aluminium nut broke at 45 Nm! Work still in progress! 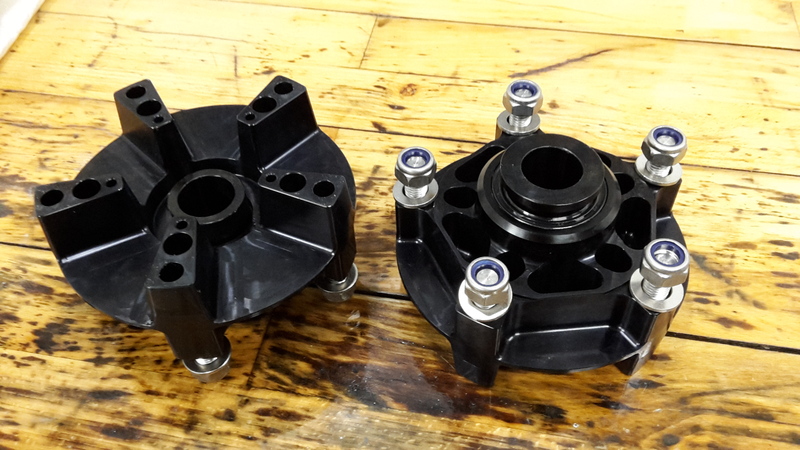 The Stator Oil Cooling kits will hopefully be ready for sale this month! 21/1/2014 - Our new logo is ready!